The Squire Law Library is pleased to announce that access is now available to the Private International Law (PRIL) ebook module on the Oxford Legal Research Library platform. Records for most of these titles are already searchable in iDiscover, and the rest will be added as soon as they are available. This collection is available both on and off campus with a Raven login. Don’t forget that members of the University also have access to the 38 authoritative titles within the Financial & Banking Law module on Oxford Legal Research Library. A recent blog post gives some more details about this collection. As usual, if you have any feedback on this new collection then please contact the ebooks team at ebooks@lib.cam.ac.uk. These new subject collections complement and update our existing OHO collections, where monthly updates introduce articles in advance of print publication and beyond the book. Online access to OHO ensures that University of Cambridge registered users receive the most current, and authoritative coverage. Please click on the book covers below to access some of OHO’s most recently added content. The records for completed 2016 Handbooks will be searchable in LibrarySearch from early next month. If you have any queries or comments about Oxford Handbooks Online then please contact the ebooks@cambridge team on ebooks@lib.cam.ac.uk. 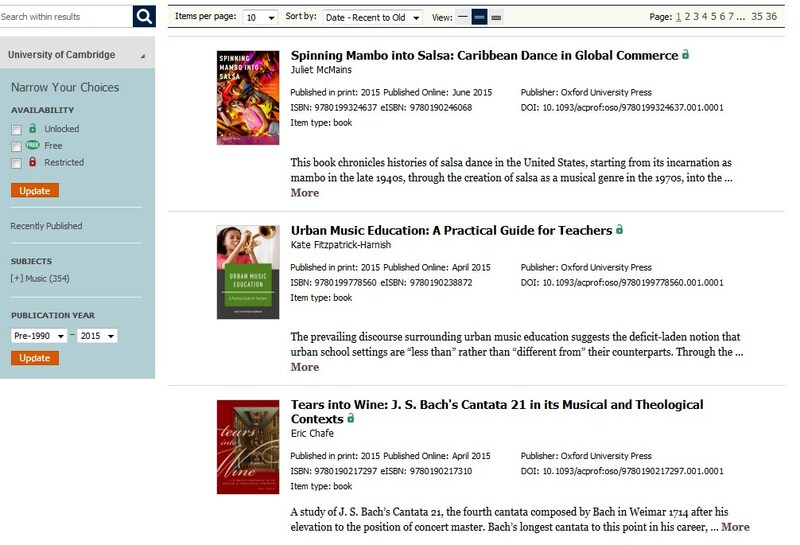 The University Library has arranged full-text access to the complete Oxford Scholarship Online ebook collections in the following subjects: Classical Studies, History, Linguistics, Literature, Music, Philosophy, Religion, Sociology, Business & Management, Economics & Finance, & Political Science. The 7,515 new ebooks are immediately available from Oxford Scholarship Online. This evidence based purchase (EBA) scheme includes all Oxford University Press monographs published in the subjects listed above across all publication years. This collection will grow as new titles are published. This extended access complements existing owned collections of OSO monographs (up to 2009) and the Law collection which is currently subscribed to by the Squire Law Library. The catalogue records for these Oxford Scholarship titles are loaded into LibrarySearch and Cambridge librarians will be able to identify them once they are tagged with OSO EBA trial (hopefully from the beginning of September 2015). 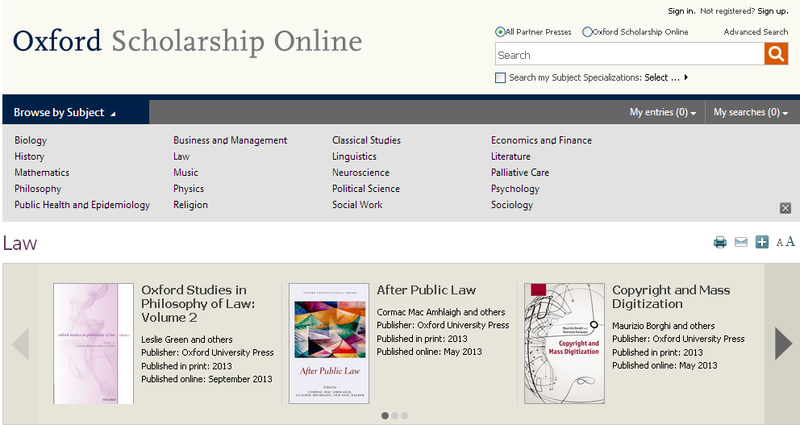 Oxford Scholarship Online ebooks are available both on and off-campus (using a Raven login) with unlimited concurrent access and offer chapter printing and downloads. Available titles are indicated with a green unlocked padlock icon as illustrated in the following screenshot. The access will continue until the 30th June 2016 in the first instance. As this is an evidence based purchase model during June 2016 the University Library will select titles to be purchased, based on popularity and librarian selection. If you would like to recommend titles for purchase, please send details in an email to Dr Gotthelf Wiedermann in the University Library (ghw21@cam.ac.uk) before the end of May 2016. The ebooks@cambridge team and the University Library are keen to know what you think about opening up access to these Oxford Scholarship Online subject collections, please send any comments or questions to ebooks@lib.cam.ac.uk or ghw21@cam.ac.uk. New Oxford Handbooks Online access. The Oxford Handbooks series brings together the world’s leading scholars to write articles that survey the current state of scholarship in their field. The articles review the key issues, reveal original arguments and concepts, and set the agenda for new research. The collection will be searchable in LibrarySearch from early August and will be available to view on and off campus. Off campus access will be via Raven login. When you search on the Oxford Handbooks Online website look out for the padlock symbols on restricted content (click on the image to get a better look). You can limit your search to owned content by selecting the ‘show full text results only’ from the availability box on the left hand side of the search results screen. Our access includes handbooks and articles in Archaeology (2012 and 2013 collections), History (foundation and 2013 collections), Linguistics (foundation and 2013 collections), Music (foundation collection), Philosophy (foundation and 2013 collections), Political Science (foundation collection), and Psychology (foundation, 2012, 2013 and 2014 collections). A full list of titles in the Oxford Handbooks Online collections can be found here. Please remember to check the title you need is included in one of the collections listed above. The links in the Oxford Handbooks Online collections list do not include our off campus link. You can use the ‘reload URL for off campus access’ bookmarklet, from the Library Toolbox to gain off campus access to any of the URLs listed. 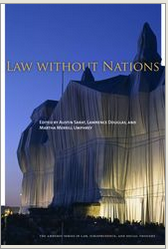 Oxford Law ebooks are now available! The ebooks team are pleased to announce that the Squire Law Library has subscribed to the following collections which we hope will prove useful for Cambridge Law students. The subscription will end on the 31st August 2014 when the popularity of these collections will be reviewed. The complete Law ebook collection is now available on this platform. Cambridge University members have unlimited access to the full content of 993 ebooks. Cambridge users can access all of this content both on and off campus (with a Raven login). You may download, print and copy & paste chapters onto a PC, laptop or mobile device. Please note that unowned content is also available to preview on these platforms, if a title has next to it then you cannot access the full text. Catalogue records will be added to LibrarySearch as soon as possible. Uh oh it’s OHO – what do you think about this free trial? The ebooks team have arranged for free trial access for University of Cambridge members to the full content of Oxford Handbooks Online, you can access the platform from here. The trial period provides access to the Oxford Handbook series in 14 disciplines across the Humanities and Social Sciences, containing in-depth high-level review articles by scholars at the top of their fields. The online articles appear in advance of their print versions, or are born digital, this ensures the most authoritative coverage anywhere. Archaeology, Business and Management, Classical Studies, Criminology and Criminal Justice, Economics and Finance, History, Law, Linguistics, Literature, Music, Philosophy, Political Science, Psychology and Religion. OHO is available both on and off campus (with a Raven login) and the articles and ebooks are offered with unlimited concurrency. Articles can be downloaded as PDFs and you can create your own personal account on the platform to take advantage of further user features such as setting favourite titles and saving searches. For the trial period the catalogue records will not be available in LibrarySearch. To help you get the most out of this trial there is a useful short video guide to using OHO which is available from here, and the latest content updates can be perused from here. Free access is due to end on Wednesday 30th April, but in the meantime it would be REALLY useful if you could email the ebooks team with your feedback on OHO, both on the usability of the platform and the content. These comments will be analysed in conjunction with usage statistics and if OHO proves to be a popular resource then selected subject modules may be purchased using the Connell Fund. Please email ebooks@lib.cam.ac.uk with any comments. Very Short Introductions Online – yes we’ve got it for you! Following an incredibly enthusiastic response during the trial period, the ebooks@cambridge service and the University Library is very pleased to announce that the Very Short Introductions series published by Oxford University Press is now available online for University of Cambridge users. You can access the ebooks from here, both on and off campus (with a Raven login) and all the titles are available with unlimited concurrency. Catalogue records will be searchable in LibrarySearch very soon and updates to the collection will be added on a monthly basis. 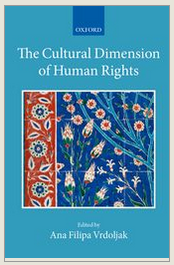 This series offers concise introductions across a wide range of subject areas; Arts & Humanities, Law, Medicine & Health, Science & Mathematics & Social Sciences. You can browse by subject or search the collection of currently 372 titles, and you can search at the chapter level. You can create your own personal profile which will give you the option to save titles you are reading, copy, paste and annotate the text. Please email ebooks@lib.cam.ac.uk with any questions. Very Short Introductions – another free trial! TRIAL ACCESS EXTENDED UNTIL THE END OF JANUARY 2014!!!! A help page is available with more detailed instructions on how to use the platform. Note that these ebooks are not found in LibrarySearch, and therefore you will need to go to the website to browse. For this trial the ebooks are not downloadable. Please let us know what you think! Are you finding the platform simple to navigate, and do you think this resource is a useful thing to have? This trial is available until 31st December 2013.